Comparisons of clinical efficacy across major classes of antibacterials suggest that many compounds achieve comparable clinical efficacy in resolving infection. Indeed, most clinical trials demonstrate clinical equivalence rather than superiority of one agent over another. 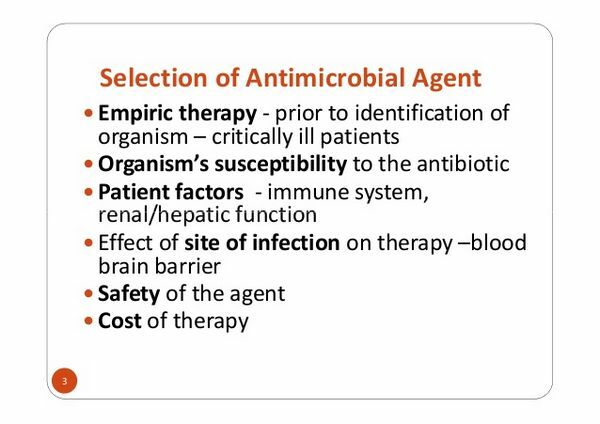 Clinical trials report both clinical response and bacterial end points achieved by an antibacterial agent. The clinical response suggests an improvement in the symptoms of the disease (e.g., reduction in fever) achieved by the agent. Bacteriological end points indicate pathogen eradication achieved by the agent. The susceptibility of bacterial strains to antibacterials is reported as sensitive, intermediately sensitive/resistant, or resistant based on the minimum inhibitory concentration (MIC) required by the antibacterial to exert its effect. An important factor in antibiotic choice is oral bioavailability. For serious infections, physicians need to ensure that patients achieve a high serum concentration at the site of infection. Antibiotics with poor oral bioavailability have difficulty achieving this high serum concentration because much of the drug does not cross the gastrointestinal (GI) tract into the bloodstream, and physicians must choose the intravenous (IV) formulation instead. 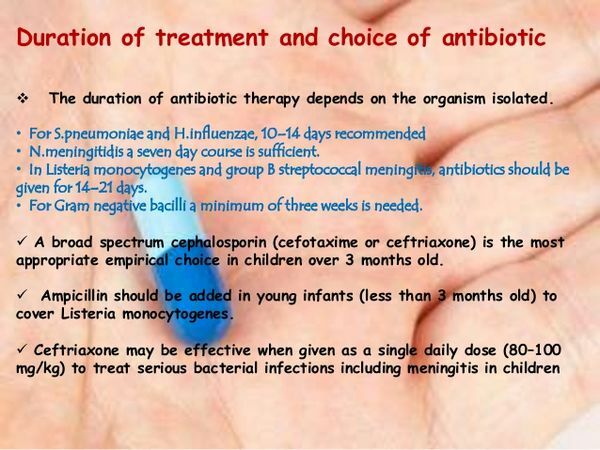 Antibiotics with a high oral bioavailability, however, offer physicians the ability to treat more serious infections in an outpatient setting knowing that these therapies will achieve high serum concentrations. Likewise, for patients who are started on IV antibiotics in the hospital, agents with high bioavailability can facilitate the switch from IV to oral therapy and result in a shorter hospitalization. Physician choice of antibiotic therapy for acute exacerbations of chronic bronchitis is driven by the activity, spectrum of coverage, safety, dosing, and drug interactions. Since therapy is typically empiric, without definitive identification of the pathogen, coverage of the key respiratory pathogens (particularly Haemophilus influenzae) is a critical factor in drug selection. Likewise, because patients with acute exacerbations of chronic bronchitis often suffer from other comorbidities (particularly cardiopulmonary diseases such as coronary artery disease and congestive heart failure) and are frequently on numerous other medications, safety and lack of significant drug interactions are important in the construction of a safe, effective drug regimen.